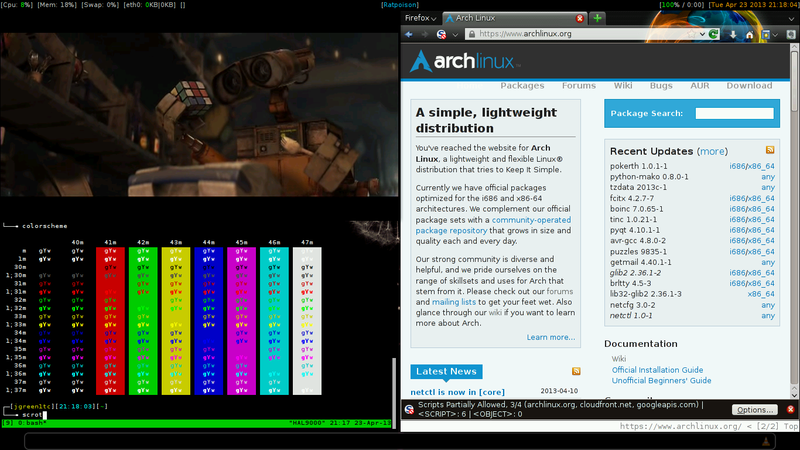 But the colors I used are in my dwm status script and were just chosen off a xterm 256 color chart. Is this my imagination or you did find a way to make monsterwm borders transparent? Borders are transparent. I am using compton-git from AUR with configuration file from wiki. Especially i like fading in and out! 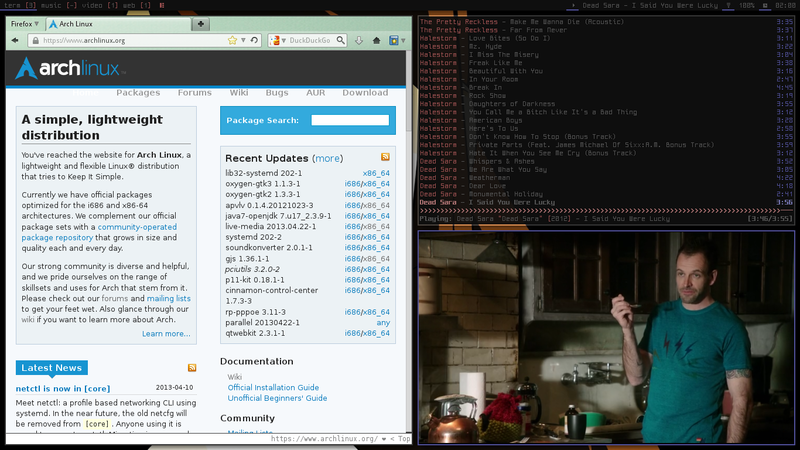 Pretty new to i3. But it's seemed to do what I was looking for. I've not done big change for the moment. Just add the same wallpaper from The Witcher 2. 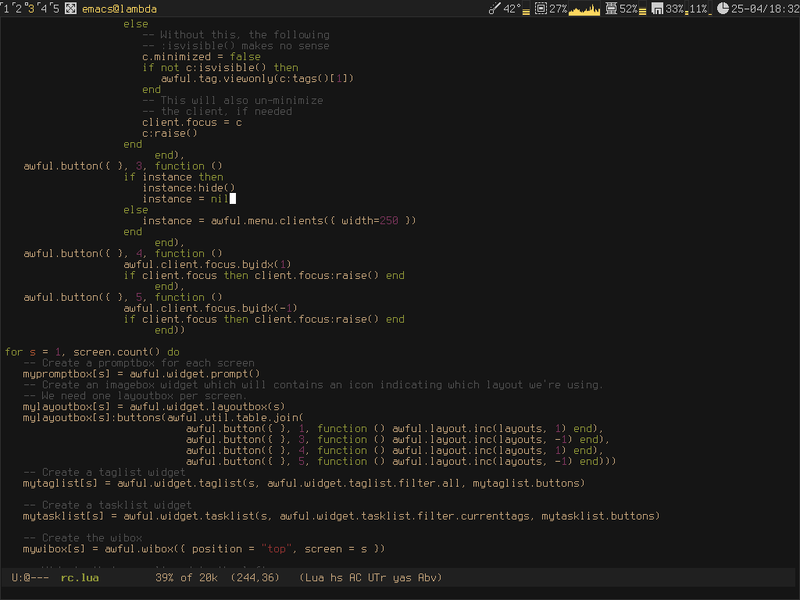 I was tired of dark theme, so I modifed solarized and fruitsummer256. I need to change the bar at the bottom to get more usefull info. It seems to me that only the terminal border is transparent - which is essentially the same that happens to my (VTE based) terminals whenever I start a compositor - and which totally annoys me, since it adds the RGB values of the border colour and the background colour (which is OK on dark background, but on a white background, active/inactive terminals are not distinguishable). 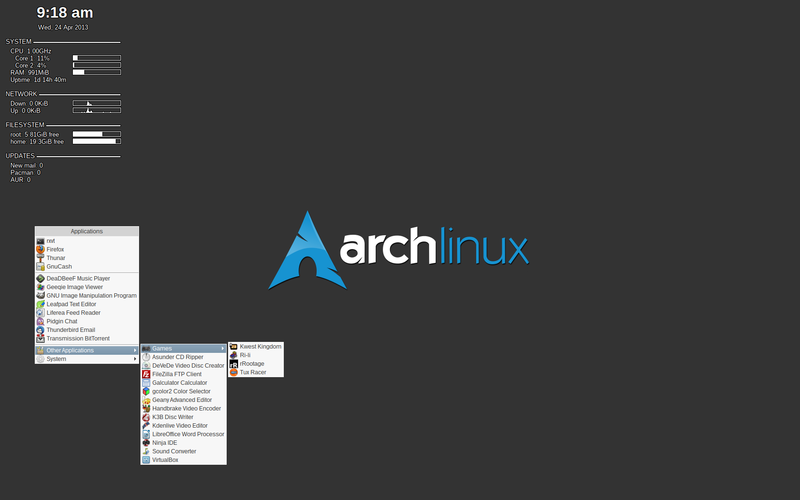 Does anyone know how to enable compositing without making terminal borders transparent? It's funny, in the past I used to go for "looks", nowadays I go for "WHICH THEME IS GONNA BE SUPPORTED BY GTK3 THE FOR THE LONGEST?". 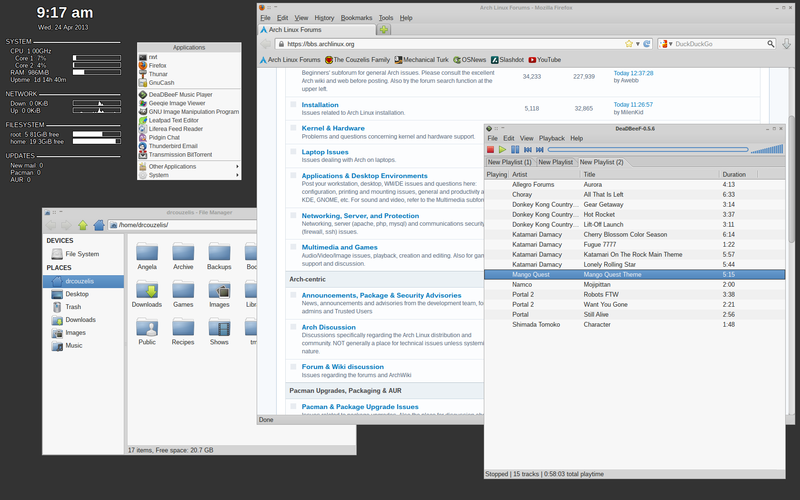 XFCE4,panel is xfce4-panel with dockbarx applet and conky. My setup hasn't changed much at first glance besides the fact that I have tint2 running unmanaged for when I switch to using Openbox temporarily. 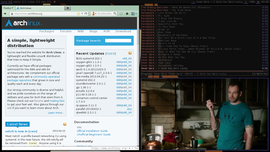 My Openbox setup looks similar. I usually just change the desktop and add functionality to my setup. I'm really loving Ratpoison. Can share your dzen/status config? Lower conky modified from morfik's code. If this was in reply to my post, I'll edit my configs in later. I'm using xmobar. It was easier for me to configure at the time and the functionality has been the same so I haven't changed. Nice music again... xfce (and gala). I've tried many WMs and DEs, but Openbox still remains, along with tint2. No login managers, no unnecessary stuff. Switched to 64 bit today. Please share your icons in the status bar?